Outdoor team building activities are a lot of fun, we love hosting them. 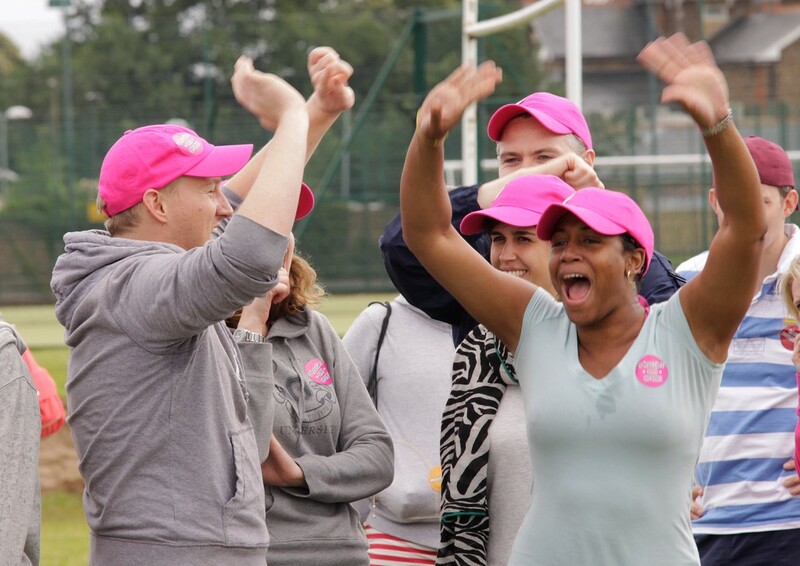 There’s such a wide variety of different team events to choose from, from purely fun and rewarding to focused and objective based; whichever type of outdoor team event you’d like to host for your company, you can be sure that we’ll be able to help you. Contact us now for a free quote or call on 0800 083 1172. School Sports Day: It’s safe to say that we absolutely love our School Sports Day! It’s a perfect combination of competition, collaboration, team spirit and fun. Egg and spoon races, sack races, javelin throwing, space hopper race and the all important tug of war means that there are games that everyone can take part in. Hosted by our very own headmaster and headmistress this is a top class company School Sports Day! We ensure that it’s a huge boost to your company morale. Suitable for groups of 25 – 200 for 2 – 3 hours. 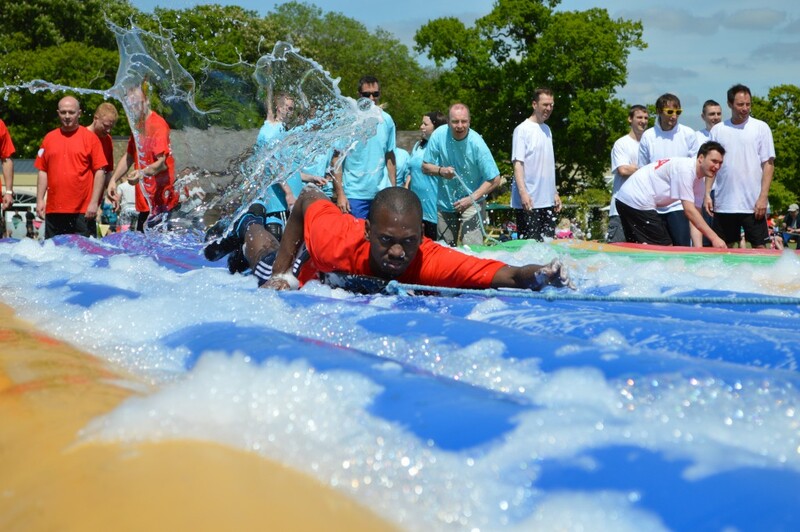 Total Wipeout: This is a wonderful fusion of Total Wipeout and It’s a Knockout, both team focused, both inflatable and both with a vast quantity of foam! 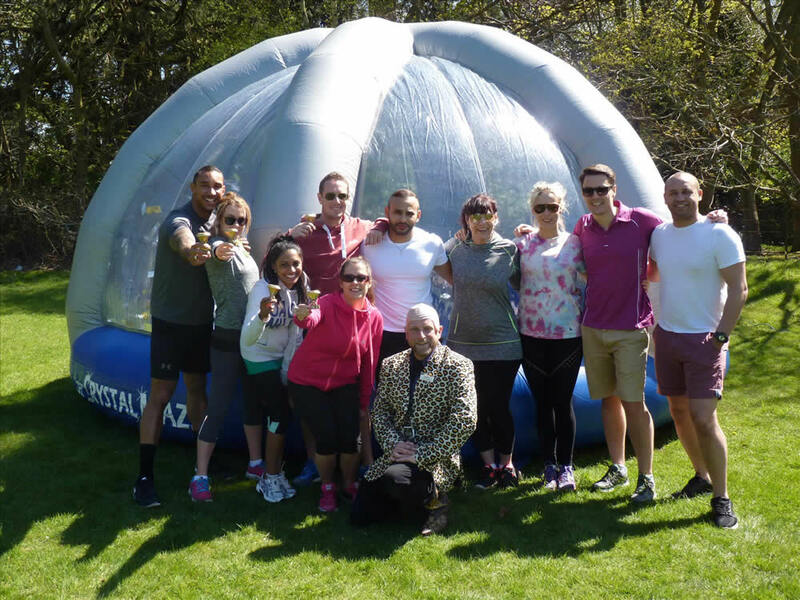 With a series of highly visual outdoor exciting inflatable challenges to complete, this will test your groups determination, team work and team spirit. We have a completely dry version for indoor events if you would like to host this team building event in the winter. Suitable for groups of 25 – 500 for 90 minutes – 4 hours. Company Festival: Think of Glastonbury on a smaller scale, think tents and strolling entertainers; think outdoor food carts and massage tents; think VW camper van photo booths and henna tattoos and of course think bands! This simply is the best company fun day which won’t fail to impress, always highly visual and always highly successful, we can even brand it to be totally company orientated. We’ve got a stack of ideas and outdoor team building activities to make sure you’re Company Festival is legendary. Suitable for groups of 50 – 2000 for 2 – 9 hours. 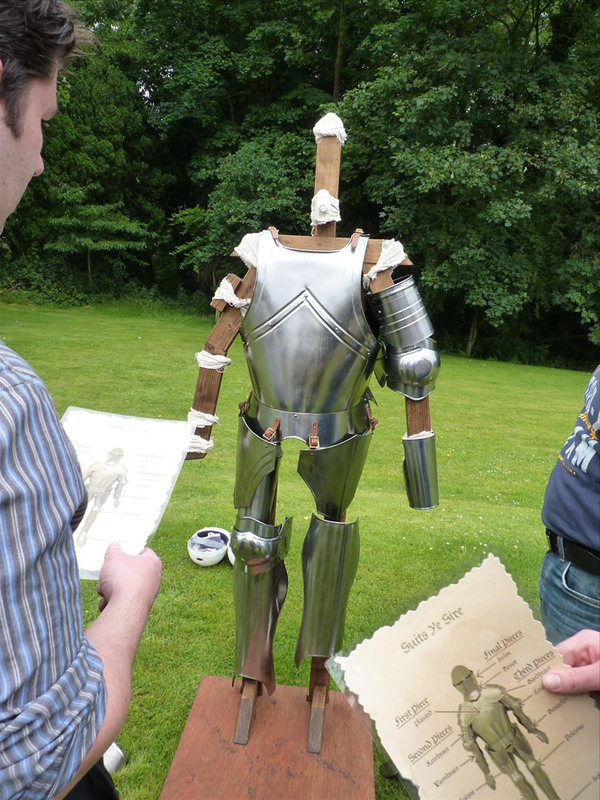 Game of Knights: Immerse yourself in a Game of Thrones themed team building event as we set a series of noble challenges for your team to complete. Find out if your team are worthy of the throne and see if you have what it takes to survive the winter. An outdoor event that heavily relies on team work, communication and time management while at the same time being great fun. Suitable for groups of 10- 100 for 2 1/2 – 3 hours. Crystal Maze: This is an ingeniously cunning take on the hit TV series The Crystal Maze. Teams have to work incredibly close together if they are going to successfully complete each of the zones. With different types of challenges and different levels of difficulty, this is most definitely an event for the organiser who wants teams to increase communication, focus on time management and also lateral thinking. 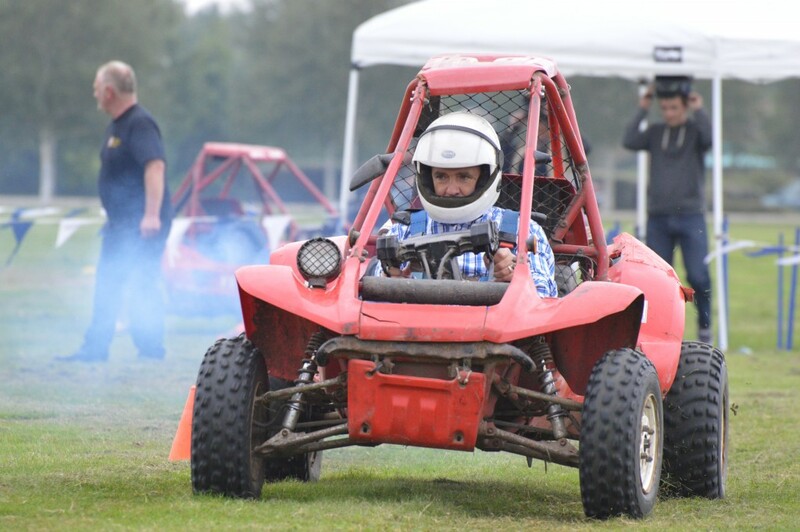 Can be hosted indoors or outdoors Suitable for groups of 10 – 150 for 2 1/2 – 3 hours. 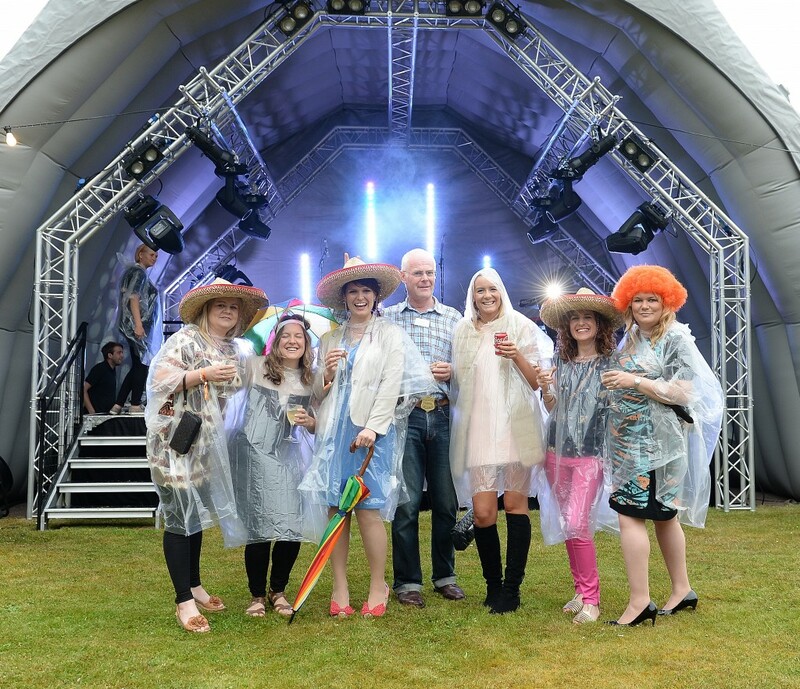 Country Pursuits: This is a popular corporate event choice for company’s who want to either reward their teams or entertain clients. It can be hosted purely on a ‘try me’ basis or on a competitive level. Choose from activities like laser clay pigeon shooting, geese herding, quad biking and even axe and welly throwing, There’s something for everyone and all ages and capabilities. We’ve got lots of ideas, so contact us today. Suitable for groups of 10 – 300 for 90 minutes – full day. 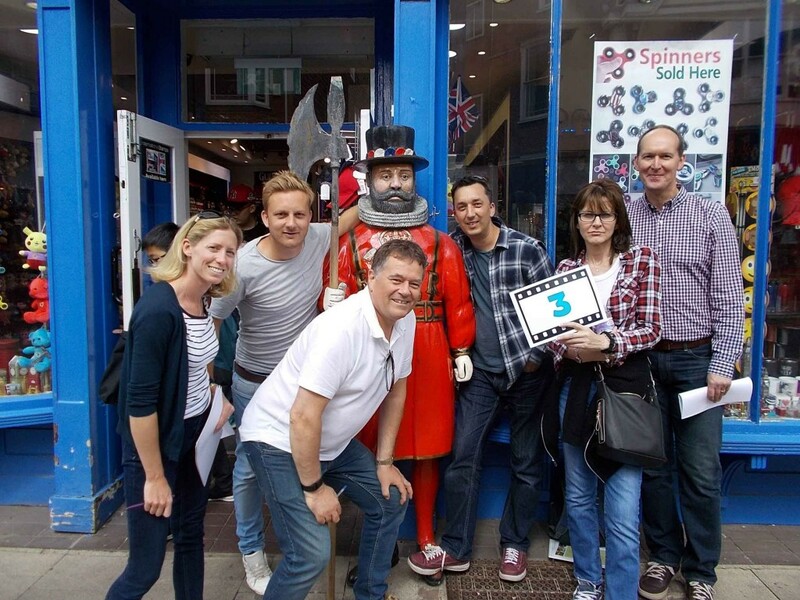 Treasure Hunts: Our company treasure hunts are great fun. We always write a specific treasure hunt for your company, so you know it’s bang up to date. We can tailor to your company objectives and we can host it virtually anywhere in the world. With different sections to complete, there is definitely something for everyone which ensures everyone is engaged throughout. Treasure hunts are great for increasing communication between your delegates and breaking down barriers in a relaxed environment. Suitable for groups of 10 – 300 for 90 minutes – full day. Drive and Shoot: Our driving and shooting days are great fun and a real boost to your team spirit. 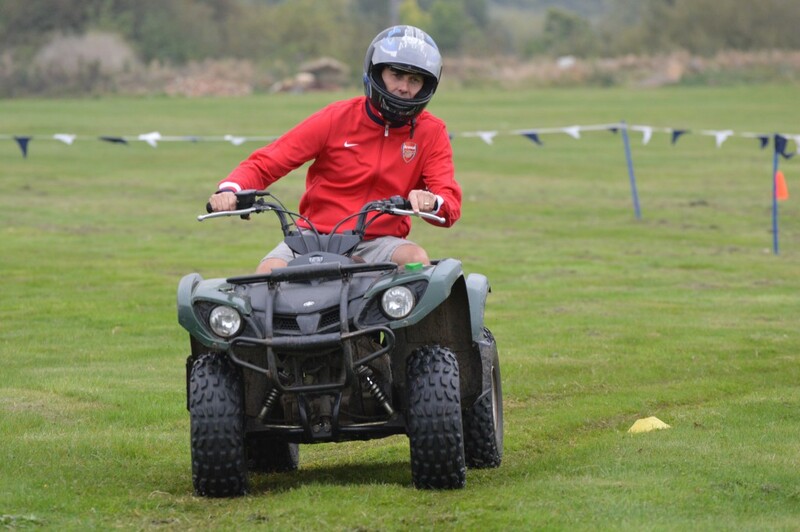 With lots of great team activity ideas to choose from including quad bikes, powerturns, land hovercrafts and segways. 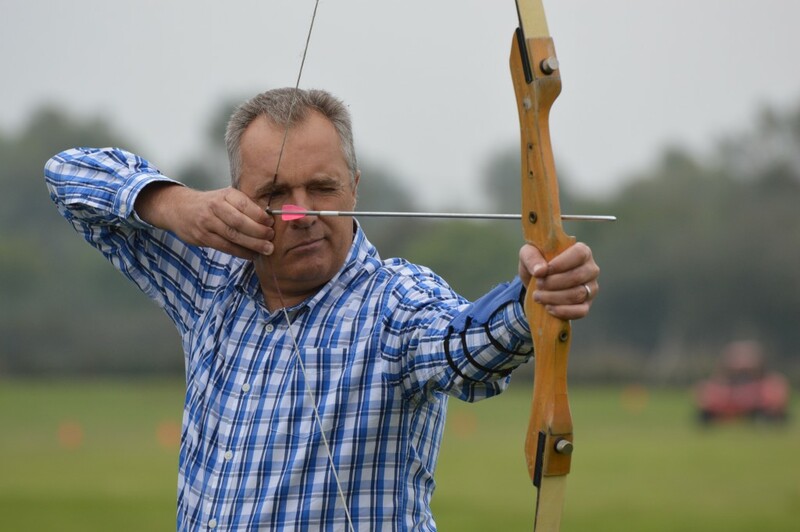 Then there’s crossbow, archery, laser clay shooting and axe throwing, you can be certain that there is an activity that will appeal to everybody. We can host it as a competitive event or just for fun. Suitable for groups of 12 – 250 for 2 – 6 hours. Games that Build Teams: We’ve put together a series of different outdoor team building activities that are specifically designed to build teams. 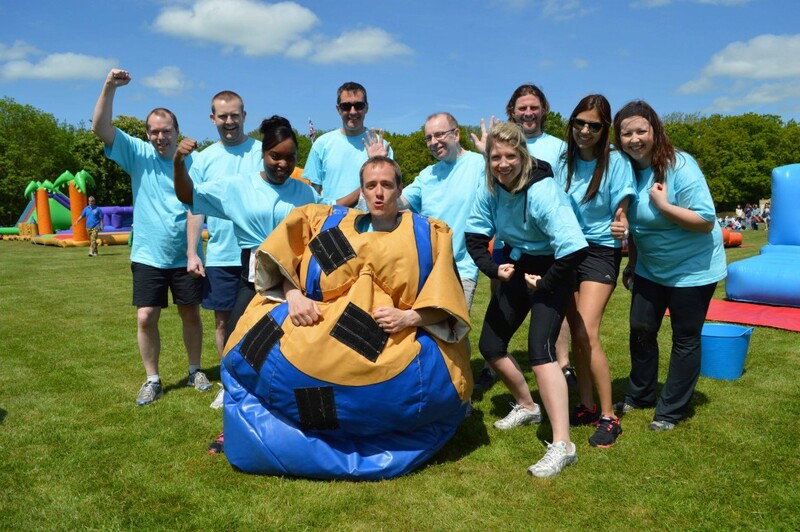 With the focus very much on team dynamics, team work and problem solving, this is an event for an organiser who wants to be able to select their specific activities to suit their team and objectives. This team event is always a lot of fun and leaves everyone with a sense of achievement and team spirit. Suitable for groups of 15 – 150 for 1 – 4 hours. 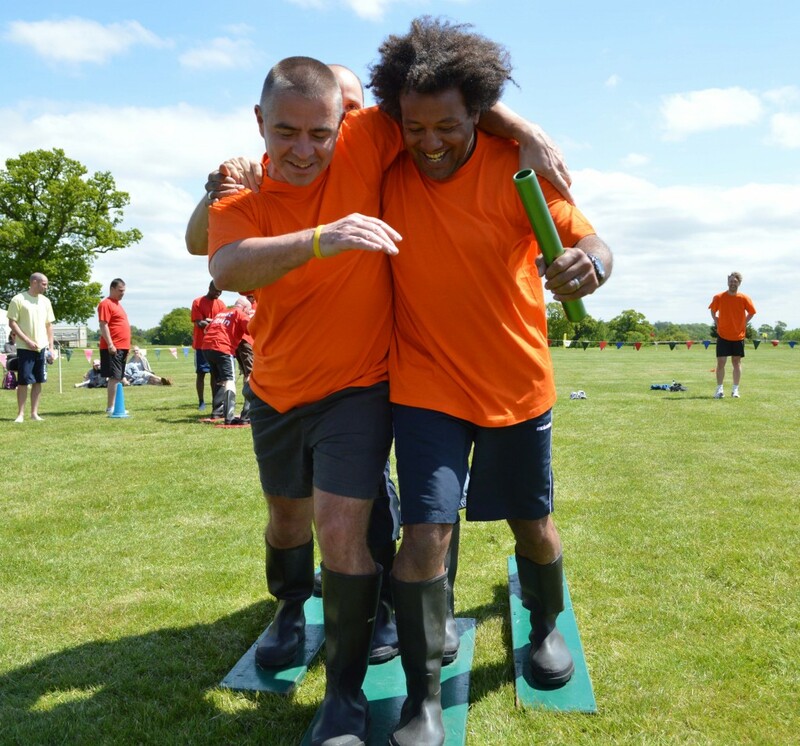 Inflatable Team Games: There’s no escaping that our inflatable team building activities are a lot of fun and guaranteed to put a bounce in your teams step! 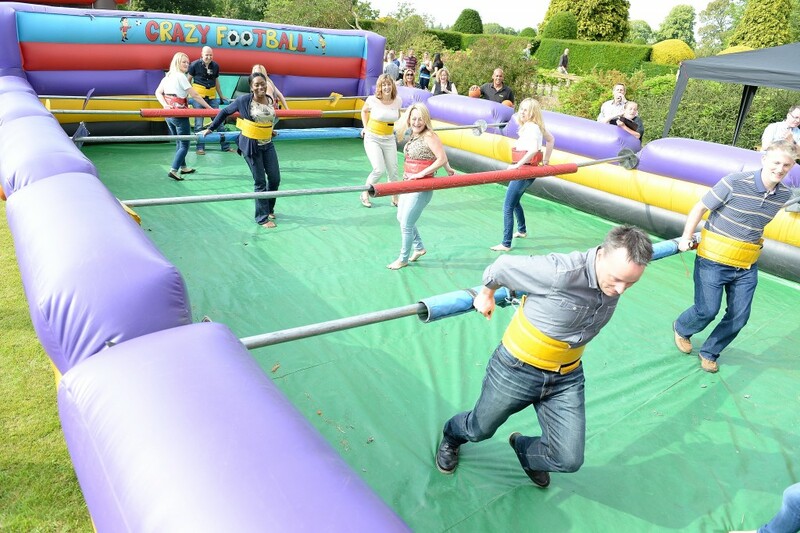 With a wide range of games to choose from including human table football, sweeper, gladiator joust and a huge climbing wall, there’s going to be a game for every person taking part. We can host our inflatable’s on a fun ‘try me’ basis or for some series fun we can run it as a team competition. Suitable for groups of 12 – 250 for 2 – 6 hours. We’ve got so many other outdoor team building activities to choose from so why not pick up the phone and let’s talk about your next event and how we can help you.